PartyPoker makes it easier for mac users to play! Earlier this month I wrote a blog post “PartyPoker could make it easier for mac players!“. 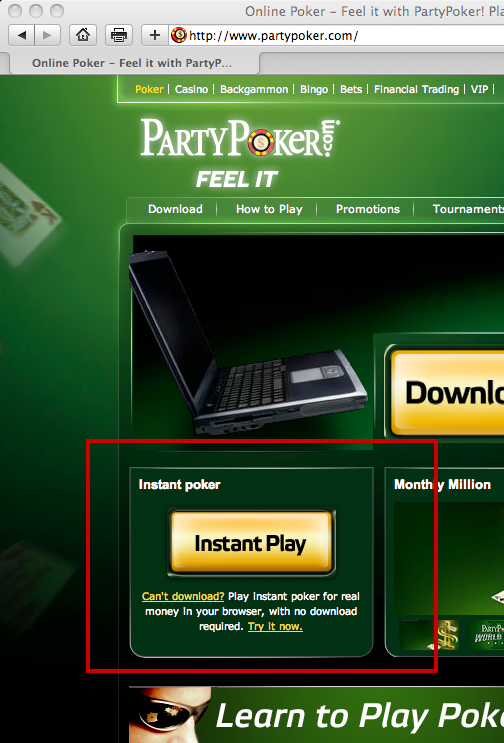 Today when I went to PartyPoker’s start page they’ve removed the movie banner and replaced it with a big button saying “Instant Play”. I think this is a good change to the start page and I am know that it will be seen in the logs that many players click on the button to start playing the instant poker client.